The benefits of neighboring one of the best universities in the world are plentiful. From our organization’s onset, we have enjoyed a strong and mutually-supportive relationship with Stanford University that has taken on many forms. Stanford groups volunteer to restore our local open spaces, including the annual Beyond the Farm event, and the Stanford Conservation Program collaborates on projects that help restore Matadero and San Francisquito Creeks. The many ways we collaborate with Stanford University was recognized by a Stanford Partnerships Award earlier this year. One of our favorite ways we’ve collaborated with our neighbor is through the Open Space Management Practicum, a class in the Earth Systems Department. The Open Space Management Practicum is a class that offers students opportunities for real world applications of environmental research to help solve issues that arise in land management. The Stanford staff who have made this class happen - Sarah Truebe and Rebecca Marie Niemiec - work with local organizations like Grassroots Ecology as well as the Amah Mutsun Land Trust and the Peninsula Open Space Trust, to help funnel quality research to local issues. Students from the course have helped us delve deeper into management questions that we are eager to address, but don’t have time to explore on our own. In one project, Stanford student Ben Bravo helped us set up and maintain a number of camera traps to monitor and observe wildlife at Arastradero Preserve. 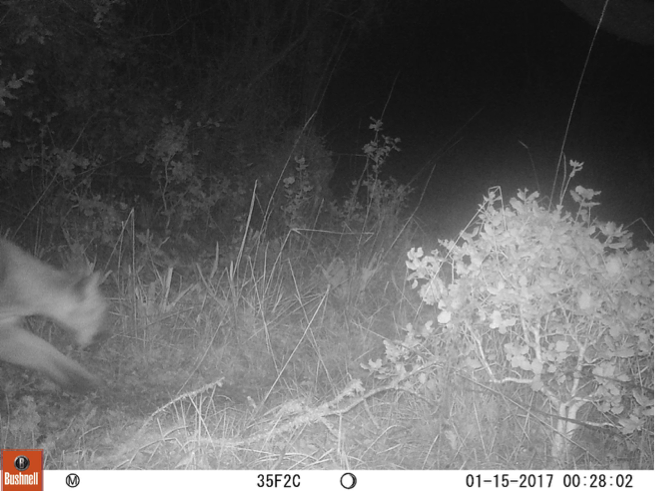 With data from these camera traps, we’ve been able to discover what animals use the preserve and where they live, including charismatic megafauna such as mountain lions, bobcats, coyotes, foxes, and opossum. From his cameras, we learned that our restoration zones seem to be popular spots for our local wildlife. After the project, Stanford gifted us the cameras, and we’ve been able to continue the project. Check out some of our favorite shots below. Another student project identified ideal habitat for oak saplings at Arastradero Preserve. This study was perfectly timed for our project to cage and tube 600 oak saplings to protect them from deer foraging. 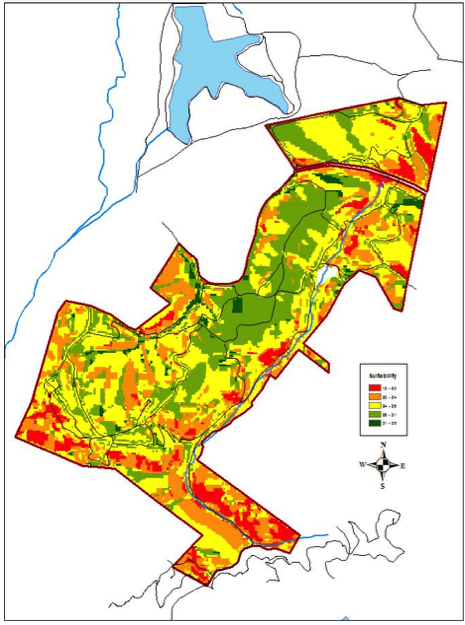 The students, Hannah Beutler and Chloe Koseff, created a map to identify priority areas for oak recruitment and survival, which we used to inform our target sites. Most recently, we had a Stanford student, Nicholas Cody Mascarello, assess the soil moisture of our berms and swales project above Arastradero Creek, a project to restore groundwater and prevent erosion along the creek. The student set up a data collection protocol and performed an initial study. We were pleased to learn that the moisture content within the berms and swales project zone was higher than the control without the berms and swales. This preliminary assessment indicates that our project is successfully increasing natural water storage. These findings have been important for communicating the value of the project to the public and encouraging future water retention projects. The Open Space Management Practicum has repeatedly provided scientific data that both informs and validates our field work. We have valued the creative energy and input of the students, and of course the support from Stanford faculty. Stanford is working on how to replicate this course at other universities, so other nonprofits and community organizations can also benefit from customized research addressing on-the-ground land management issues. We hope to continue working with Stanford faculty and students to answer our pressing restoration questions and inform how we can better steward our local open spaces and creeks. We would like to thank Sarah Truebe and Rebecca Marie Niemiec for their hard work in keeping this class going over the years and inspiring students. While both of them are moving on to new roles at different institutions, their legacy and impact on our organization remains. We look forward to a continued partnership with Stanford that helps make our local ecology and community more resilient.